Famous For: Photography, Religion, History. Visiting Time: In Morning 5 am to 12 pm and in Evening from 4 pm to 9 pm daily. Visiting Duration: 1 to 2 hours. Kullu Manali is the most sought after tourist destination in India because of the majestic view of the Himalayas from this region. This place is a true nature’s paradise with the cascading waterfalls, the gushing rivers and streams, the snow-capped mountains and the various fruit orchards. To cover this delicious cake made of the bounty of nature is some of the sacred places that symbolize different religions at the best of their ability. Maa Sharvari Temple, located 5 km away from the Manali Bus Stop, is one such remarkable religious abode that is not only a place of immense sacredness, but, also a place that is associated with stories dating back to the past. Thus, as a pilgrimage destination and also as a natural paradise, Maa Sharvari Temple tops the list among the noteworthy places in Kullu Manali. Wear decent and fresh clothes if you wish to offer your prayers to the incarnation of Goddess Durga, namely, Maa Sharvari. Do not carry cigarettes, alcohol and non-vegetarian food in the premises of the temple. Do not click photographs in the restricted zones of the temple. Maintain decency and do not create a chaos while standing in the queue. Offer your prayers to the age-old deity. Take photographs of the panoramic view of the surrounding. If you are visiting the temple in winter, play with the snow lying all around. The lovers of adventure can even go for a trek in a group accompanied by a local guide. You will not come across a professional guide there. However, the local people are very good and would gladly help you out with the way. The priests at the temple will also narrate the history of the ancient temple if they are free. The Maa Sharvari Temple can be visited at any time of the year. However, as Maa Sharvari is an incarnation of Goddess Durga, the best time to visit the temple would be during the Hindu festival of Dussehra as the celebrations are magnificent at that time. 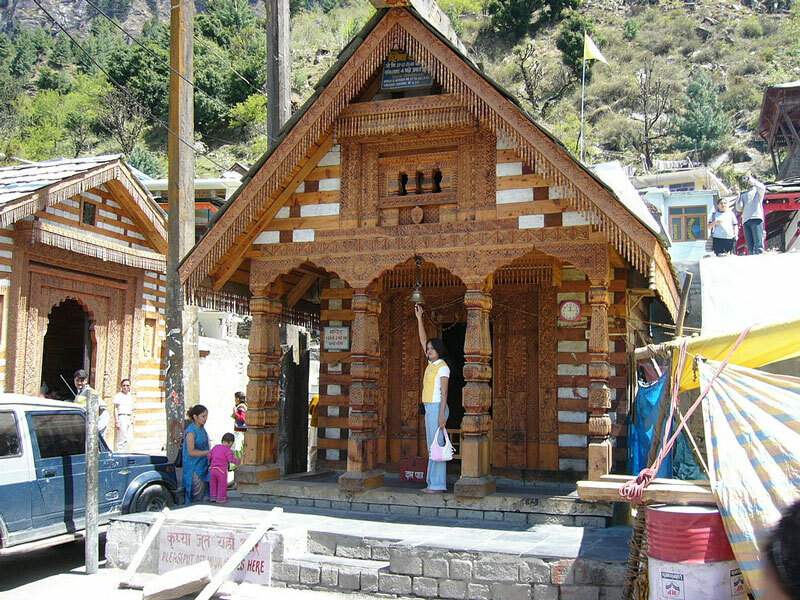 The Maa Sharvari Temple is located only 5 km away from the Manali Bus Stop. It can be reached in a hassle-free manner in a hired cab or a private bus. Maa Sharvari is an incarnation of Goddess Durga. She is the deity who was worshipped by the Kullu Kings since time immemorial. The temple is decorated at its best during the festival of Dussehra. During the festival of Dussehra, the idol of Maa Sharvari is taken to Kullu in a grand procession to meet God Raghunath Ji. The ancient charm and the peeling of the temple’s bells echo in the region even today. The holiness of the temple and the strong, solemn belief of the local people as well as the Hindu tourists have given this ancient temple its worthy respect and recognition. Thus, as a pilgrim or even as a lover of history, the Maa Sharvari Temple is a must visit for all.